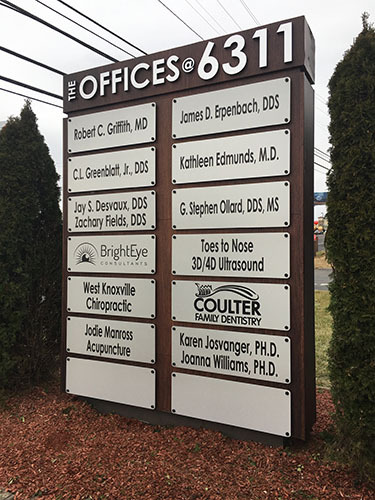 Printedge is the only place you need to look for signs in the Knoxville, TN area. Our wide format printers are capable of mass producing signs at ridiculously fast speeds, all while being of the utmost quality. And, of course, keeping you under that tight budget. Whether you need just a few yard signs for your garage sale, or you're a thriving business who needs to make an impression to potential customers driving by, we've got your sign needs covered. You'll be amazed at the vast array of signs we can provide. From traditional yard signs, to full 4'x8' signs, you're guaranteed to find a size and style that will fit your signage needs. Whether it be foam core, coroplast, PVC, or even wood, we can have you displaying your company with pride.